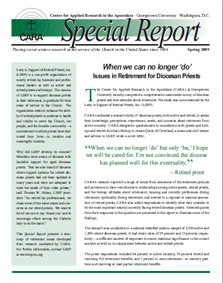 A comprehensive nationwide survey of diocesan priests and their attitudes about retirement. 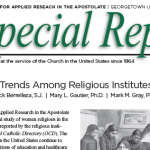 The study was commissioned by the Laity in Support of Retired Priests, Inc. (LSRP). 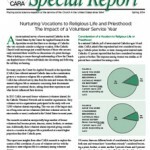 The study includes diocesan priests, both active and retired. It assess their knowledge, perceptions, experiences, needs, and concerns about retirement from active ministry.